Noise can lower the productivity of your employees. In an industry where there is too much noise, employees risk losing their hearing. Most of the noise in the workplace is produced by industrial motors. There are techniques available that can help in reducing noise. One of the methods you can use to reduce noise produced by industrial motors is sound enclosures. Sound enclosures must be installed correctly in order to reduce noise as much as possible. Our custom sound enclosures are available to meet your exact specifications. 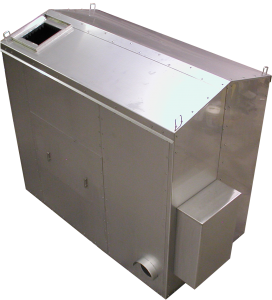 You should utilize an experienced company, such as Pathfinder Systems, Inc., to install the enclosures the correct way so that you will achieve great results reducing noise and increasing productivity. Too much noise in your factory may lead to hearing loss. The loud noise caused by industrial equipment can damage the auditory systems of your employees. You can easily avoid cases of hearing loss by deciding to install the right custom sound enclosures for your industrial motors. The enclosures are made out of materials which absorb sound that is produced during the operation of your equipment. This can help you to avoid cases where your employees are at risk of hearing loss. The health and productivity of your employees is of utmost importance. We can assist in maximizing productivity through reducing excess noise in your industrial setting. It is necessary for you to continually find ways of safely improving employee productivity. After installing sound enclosures, you will notice a rise in productivity. Your employees will be able to concentrate for longer periods of time in a quieter environment which leads to greater productivity and greater profit for your company. If an increase in productivity would help your company, consider installing custom sound enclosures from Pathfinder Systems Inc.